Two Seattle Presbytery (Rev. Scott Anderson & Rev. Kelly Wadsworth) ministers will teach the Presbyterian specific segment of these courses. Rev. Dr. Kelly Wadsworth has served in the Seattle Presbytery since 2006. Kelly is native to the Pacific Northwest and is at home among the lakes, the rain, and the mountains. She was ordained into Army Chaplaincy and served in the Washington State National Guard until 2011. From 2008-2009, she deployed to Balad, Iraq with the 81st HBCT. 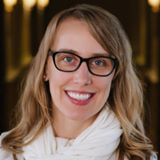 Kelly currently ministers at Seattle’s Presbyterian Retirement Community as well as teaches first year courses for doctoral students. She received her PhD in 2017 from Saybrook University in San Francisco, CA. Kelly’s interests focus on the intersection of psychology and spirituality as it pertains to sacred change and the task of finding home after war. Kelly believes the Pacific Northwest is a stretch of historic geography where the Divine has and continues to be active through the various communities that live here. PNW Culture and Presbyterian Identity is a unique opportunity to expand the understanding of what makes religion in this place both soulful and rich. The Rev. Dr. Scott Anderson has been serving Presbyterian (PCUSA) congregations since his ordination in 1994. He is the pastor of St. Andrew Presbyterian Church in Renton, WA where he has served since 2004. 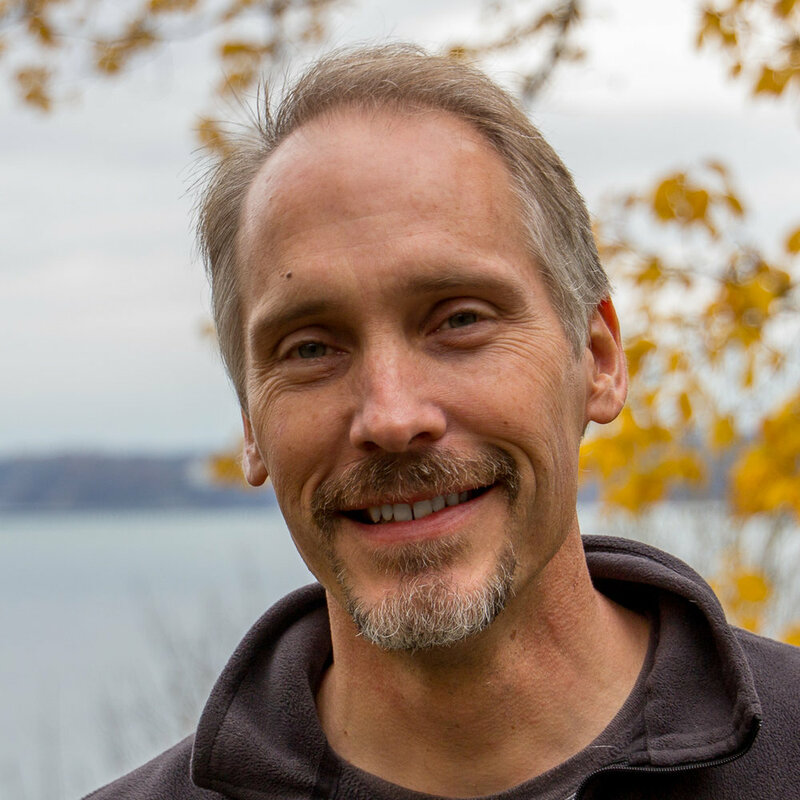 Scott received his Doctor of Ministry degree from Seattle University’s School of Theology and Ministry in 2017, exploring themes of ordination and leadership, particularly as they have to do with shifting values and developing themes in the current axial age. Scott also earned a certificate in non-profit fundraising through Seattle University’s School of Arts and Sciences in the course of his doctoral studies. A long-time Pacific Northwesterner, Scott loves to spend time in and around the forests, mountains, and waters that shape this region’s unique religious and spiritual identity. He believes the region’s religious life forecasts future patterns for other regions. Scott lives in Renton with Barbara, his wife of 29 years. They have two college-age children, Claire and Peter. Scott says what is happening to the church and institutional religion in general is both unsettling and exciting. The possibilities for renewal are profound as we seek to learn from current realities and speak from the deep wisdom of our religious traditions. This course will offer opportunities to do both. Part I class dates are Sept. 28, Oct. 26, Nov. 30 from 6-9pm. Part II class dates are Jan. 11, Feb. 8, Mar. 8 from 6-9pm. Books and/or scholarships may be available to students. Please contact tricem@seattleu.edu for more details. This two-course sequence will prepare students to become fluent within their own ecclesial tradition, and within the complex cultural challenges and opportunities that the Church experiences today in this region. The focus is to assist students in: Identifying and analyzing the pressing questions and responses to being Church in this region; enlarging their ecclesial fluency in matters of life, worldview, faith and witness in the Pacific Northwest; refining their sense of relevant Gospel witness where theology meets life every day, including any synodically authorized ministry. Sources will range from ELCA social statements to interdisciplinary analyses, from poetry to prose, from local history to international Lutheran service around the world. All of these sources will assist students in living into the question of identifying the markers for a Lutheran Cascadian sensibility in this dynamic region of the world. The focus of this two-course sequence is to assist students in: Identifying and analyzing the pressing challenges and responses to being religious in this region; enlarging progressive theological fluency in matters of life, worldview, faith and witness in the Pacific Northwest; and refining relevant leadership acumen that anticipates and is responsive to the societal challenges in this region, which likewise impact the country and the world. The two-course sequence provides an enhanced learning environment inclusive of two kinds of students: Students in degree-seeking programs at STM (MDiv, DMin, MAPS, etc. ), and non-degree seeking professionals from throughout numerous walks of life, who participate in the life of their community. Distinct from a course on the history, polity or doctrine of a particular tradition, this course will prepare students for fluency both within the Presbyterian tradition, and within the complex cultural challenges and opportunities that religion experiences today in this region. Sources for this two-course sequence will range from social statements to interdisciplinary analyses, from in-class guests to an assessment of global efforts with local impact. All of these sources will assist students in identifying the markers for a Cascadian sensibility in this dynamic region of the world. This two-course sequence enables students to develop an ecclesial competency in the faith, order, life and work of the UMC. Pacific Northwest Culture and United Methodist Identity will prepare students to become fluent within their own ecclesial tradition, and within the cultural challenges and opportunities that the Church experiences today in this region. This sequence, taken in the first year of the M.Div. program, is a bookend requirement toward the United Methodist Polity, History, and Doctrine courses (STMA 5860, 5870, & 5880), which rediscover the theological challenges of contemporary United Methodist - Wesleyan identity alongside the place and authority of the historical statements of the United Methodist experience for being Church in the world today. This two-course sequence is designed in partnership between the School of Theology and Ministry at Seattle University (STM) and the specific religious communities with longstanding commitments at this School for graduate theological education. The focus of this two-course sequence is to assist students in: Identifying and analyzing the pressing challenges and responses to being religious in this region; enlarging progressive theological fluency in matters of life, worldview, faith and witness in the Pacific Northwest; and refining relevant leadership acumen that anticipates and is responsive to the societal challenges in this region, which likewise impact the country and the world. The two-course sequence provides an enhanced learning environment inclusive of two kinds of students: Students in degree-seeking programs at STM (MDiv, DMin, MAPS, etc. ), and non-degree seeking professionals from throughout numerous walks of life, who participate in the life of their religious community. Distinct from a course on the history, polity or doctrine of a particular tradition, this course will prepare students for fluency both within the Unitarian Universalist tradition, and within the complex cultural challenges and opportunities that religion experiences today in this region. Sources for this two-course sequence will range from social statements to interdisciplinary analyses, from in-class guests to an assessment of global efforts with local impact. All of these sources will assist students in identifying the markers for a Cascadian sensibility in this dynamic region of the world.